Once again Mohanan Vaidyar is making us understand that his open mind is the secret behind his success. That is why he is now going to reveal the secrets behind his treatment. Yes, he is going to reveal the contents and methods of preparing medicines that he gives to his patients. He always reminds that he is neither a medic nor a doctor. 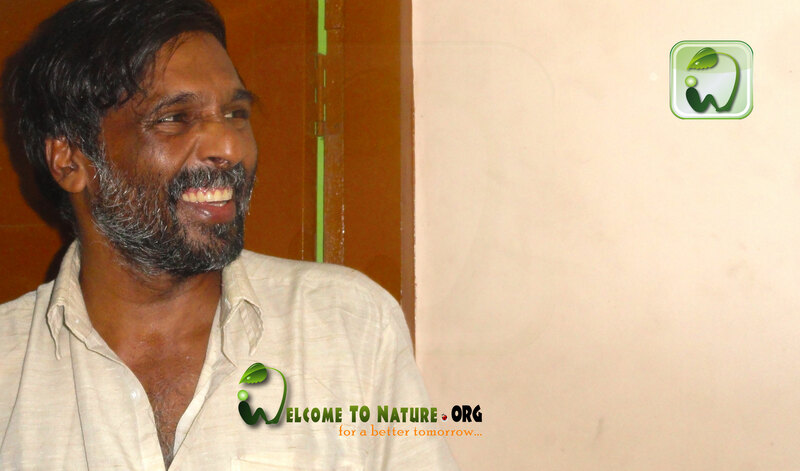 ‘I am just a guide, the real doctor is inside you’, says Mohanan Vaidyar. Yes, the actual doctor is inside every person but no one is aware of this. Vaidyar’s main objective is to make his patients always remember that only he himself can treat his problems and no one else can solve his problem, even Vaidyar. Mohanan Vaidyar is dealing with traditional medicines (folk medicine, nattuvaidyam) and he also calls it as kitchen medicine. This medicines should be the actual asset of everyone because if there is no health then what is the use of wealth? If these folk medicines are prepared and applied correctly then each and every health related problems can be resolved very easily. In the next coming posts you can find how diseases can be cured through kitchen because each person’s health is depended on kitchen. No one is compelled to practice this branch of medicine. If interested you can practice otherwise you can leave it. According to each person’s convenience and choice you can select Ayurveda, Allopathy, Homeo, Siddha or Naturopathy. Vaidyar first treats mind because he firmly believes that diseases can happen only through mind and no diseases enter into body without the permission of mind. If the strength of mind is regained then medicine’s work is less. Vaidyar secondly gives important to food because food play a very important role in causing diseases. Nowadays our diet has changed a lot and is affecting our health very badly. He even proves this by evidences. The food habit and life style determines our health. If these two are corrected then diseases are diminished. Medicines play only a third part in Vaidyar’s treatment. There is no use of taking medicines without changing mind, food and lifestyle. The medicines given by Vaidyar include herbs and medicinal plants that are available in everyone’s surroundings and kitchen. The medicines are prepared using spinach, moringa, lemon, ginger, honey etc. These medicines have very simple ingredients and procedures. The simple medicines that are revealed by Vaidyar in the coming posts can be practiced by anyone who is interested. These medicines are suitable for any age grouped people. Vaidyar, his medicines and his manners are like an open book. So use your logic and apply these medicines only if you are interested. What can be done instead of Allopathy treatment? You will get the answer in the coming posts. If you believe in yourself and in God then follow this treatment because everything is related to mind otherwise you can leave this treatment. We too had a great experience with you and vaidyar. Thank you for your comment and have a great day. would be thankful if there is english dubbing. Thank you so much Waidyar.. Now I can walk for hours…my back pain is over..and my migrane…now im very fine thanks to your medicine and ur healthy treatment! Im coming again for the complete treatment for 41 days! I wish u all the best and the same to ur beautiful family! Share what was ur problem? Any now mohanan vaidyar..address ,phone number ? Hi Sir, If there is any treatment for epilepsy for my daughter ? I am Rajib, at present I am the patient of 85% left artery block, so you can help me for relief for it? Myself Rejeesh from Bangalore, my father has been diagnosed with gallstone and doctor’s advised surgery. We watched ur video on natural removal for gallstones and not interested in surgery.We are open and keen on ur treatment. Please help us.We need your appointment. My number is +91 9886434609 and mail id is Rejeesh.rajan@gmail.com.Thank you once again. Pranam – Reji from Bangalore. Is there treatment available for vericouse vein waiting for your respondse sejeer..
My brother has liver problem which is because of drinking alcohol. His liver is damaged and suggested doctor for liver transplantation. is it curable without transplantation, I require your suggestion sir. My total body is with lot of red pimples, and heavy itching, I want to meet u soon, I called you in several numbers but no response, please replay soon. why Mohanan Vaidyar is not treating now a days? what happened to him? Dear sir i need your address and mobile number. can i please get Dr Vaidyar’s email or contact number ? Can you please provide email address of contacting this Vaidyar. Anoop, Why? kindly state the reasons. I never heard bad of him. I would like to know how to contact Shri. Mohanan Vaidyar. Please get me his email id or contact obile/telephone number. Is there any treatment for blood circulation in body ?? My son aged 31 yrs suffers from joint pain and consulted with a doctor and advised urine and blood test. In the the test result his creatine level is 4.5 and uric acid is 6.4. hemoglbine is 11.4. kindly advise what to do. Now he is under strict diet control. Sir. Is there any treatment for reducing the creatinine and urea level in the blood and stimulating kidney function. I Would like to know how to contact Mr. Mohanan Vaidyar. Please provide his address and phone number. Sir,could please help me to cure my daughter’s hypothyroid?please give any remedies. my husbend checking ECHO test dr says normal. dr told anotherTMT test the result is bloodcirculation little bit less than in heart.so Dr told u taken for angiogram test. My husbend is diabetic patient. Pls u told angio test take or not.